RUPES BigFoot Polishing Compounds are the result of research and in-depth studies to formulate high-performance, silicone free formulas scientifically designed to work with the oscillation movement of RUPES BigFoot Random Orbital Polishers. The unique RUPES BigFoot Polishing Compounds are water soluble and the perfect combination of viscosity and aggressiveness to allow even distribution on the RUPES BigFoot Foam Polishing Pad for maximum performance in minimal time while using less polishing compound. 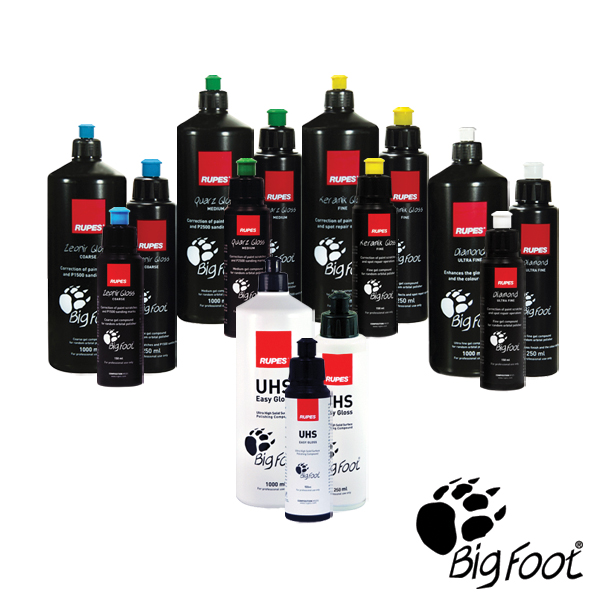 RUPES BigFoot UHS Easy Gloss Polishing Compound 150 ml. 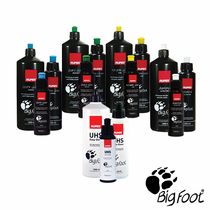 RUPES BigFoot UHS Easy Gloss Polishing Compound 250 ml.